Since high school, Madame Bovary has been a continued source of admiration; not for the story itself─a sordid story of adultery in stagnant French provincial life─but for the author’s technical effort. Flaubert was a daring experimenter. Being a perfectionist in his use of language, Flaubert wasn’t happy until he presented us with a panoply of literary techniques. Similes, Zeugmas, quoted monologues, interior monologues, indirect free speech, and so forth. But what is most fascinating to me is his invention of the literary collage. The scene of the agricultural show broke new ground and became the pattern for other novelists to pick up and perfect. Herman Broch, Virgnia Woolf, and Vargas Llosa, come to mind. In this famous scene the reader is treated to a narration--a quartet of harmonic oscillation and titillation--in four voices─violin, viola, cello, and base: Rodolphe and Emma; the councilor; Homais; and the hum of the multitude. Enchanted by the technique, I would pay less attention to the plot and the characters. But the creative genius he was, Flaubert prods the readers to immerse themselves in the characters and “to see” them and listen to them. In the end, we come away with a clear picture of Charles and Emma, Homais, Leon, Rodolphe, Justin, and others. Who can forget such a languid and charistmatic adulterer? “She (Emma) corrupted him (Charles Bovary) beyond the grave." 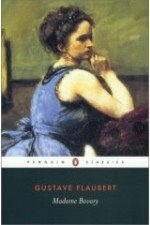 Comments on "Gustave Flaubert, Madame Bovary"